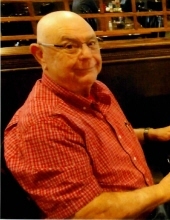 Mr. David E. Shirley, age 78 of Toccoa passed away Sunday, January 20, 2019 at the Northeast Georgia Medical Center. A son of the late Emiler D. and Nellie Hudson Shirley, he was born February 20, 1940 in Pickens County, South Carolina having lived most of his life in Toccoa. He was retired from Coats and Clark. David loved his family and helping others. He enjoyed traveling, working in the yard and doing home projects. David loved his Lord and Saviour and was a faithful member of Tom’s Creek Baptist Church. He loved his church family. In addition to his parents, he was preceded in death by a brother, James E. Shirley of Clarkesville, Georgia, sisters, Lucile S. Medlin of Greenville, South Carolina, Frances S. Brookshire of Demorest, Georgia and Christine S. Pitmon of Travelers, Rest, South Carolina. Surviving family members include his wife of the home, Sevilla T. Shirley; son and daughter-in-law, Russell and Mary Ann Mealor Shirley of Toccoa; grandson, Adam and Eleanor Shirley, Emma and Bailey Shirley; granddaughter, Hannah S. and Logan Roberts, Ethan, Lucas and Kailee Roberts all of Toccoa; daughter and son-in-law, Vicki S. and Keith Ash of Mt. Airy, Georgia; sisters and brothers-in-law, Nancy S. and Otis Coker of Cornelia, Georgia, Mildred S. and Roy Dodd of West Union, South Carolina and Doris S. Galloway of Hollywood, Georgia. Funeral services will be Wednesday, January 23, 2019, 4 O’clock p.m. in the Hillcrest Chapel of the Acree-Davis Funeral Home with The Reverend Wayne Marcus and Mr. Donald Keith officiating. The family will receive friends at the Acree-Davis Funeral Home on Tuesday, 6 p.m. until 8 p.m. Online condolences can be left for the family at www.acree-davisfh.com. Flowers are optional. Memorials may be made to Pilgrim Ministries – New Jerusalem Project, Changing Lives, One Man at a Time, 260 Bartely Wilbanks Road, Clarkesville, Georgia 30523 in memory of Mr. David E. Shirley. Interment will be in the Stephens Memorial Gardens with the Acree-Davis Funeral Home in charge of the arrangements for Mr. David E. Shirley. To send flowers or a remembrance gift to the family of David E. Shirley, please visit our Tribute Store. "Email Address" would like to share the life celebration of David E. Shirley. Click on the "link" to go to share a favorite memory or leave a condolence message for the family.